Please note: All colours shown on this chart are guide only. 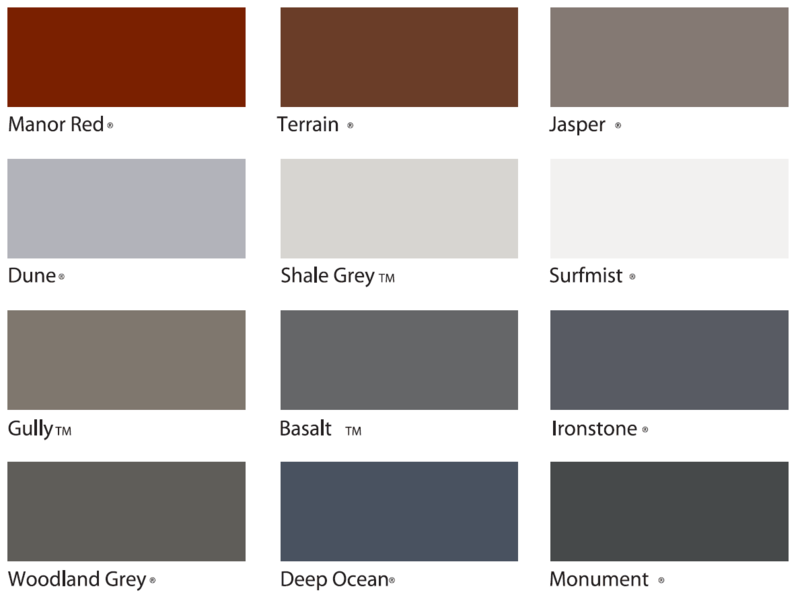 We strongly recommend comparing your choice with actual samples. 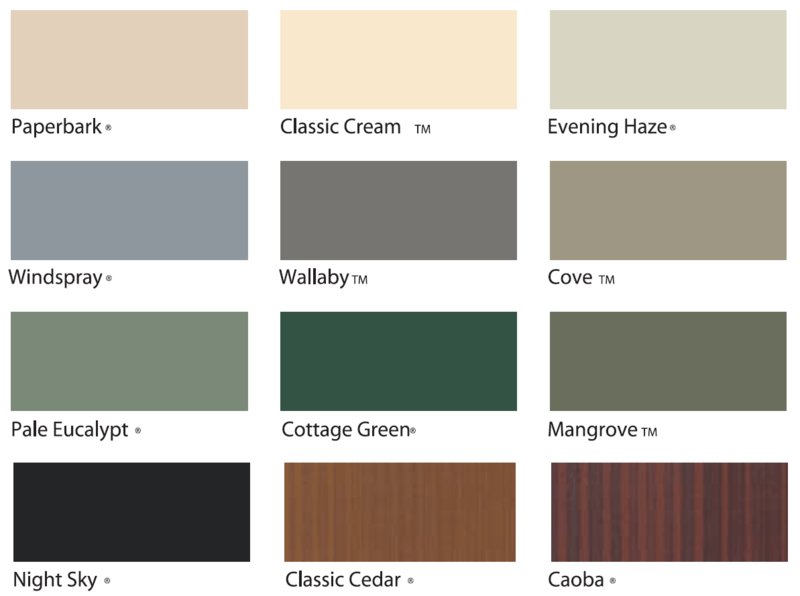 Additionally, Quokka Garage Doors reserves the right to vary or remove colours without notice.